“The demand for sand has gone up to more than 43,000 truckloads in a year. The 43,000 truckloads that we have supplied during December was not enough, in fact, it is likely to grow. And even the sand in our stockyard may not last,” Rinchen, the NRDCL’s Regional Manager for Sha Region, said. 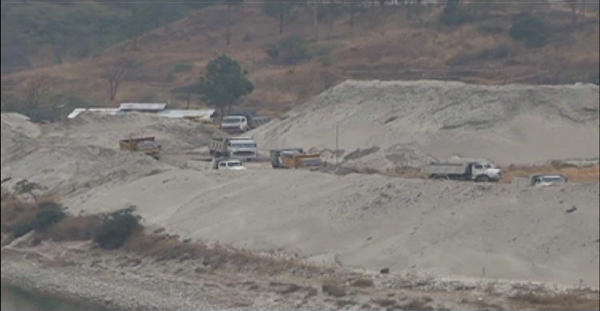 To ease the pressure from Wangdue-Punakha region the NRDCL has set up a new sand quarry in Drujeygang in Dagana, recently. It will cater to the demands of the Tsirang-Dagana region. This year the NRDCL has stockpiled over 56,000 cubic meter of sand which is the highest so far. At present, there are seven dredging machines to extract sand. The NRDCL supplies sand extracted from the surface and dredged from the river. According to the regional manager, sand deposits sees a slight increase every year but continuous extraction has led to the surface to become loose. The loose surface meant most sand is washed away down streams. The sand extraction season begins from the first week of November and continues till mid of March. During monsoon, the river beds are submerged in water. However, even during the lean season, the supply is around 70 to 80 truckloads every day.